Subscribe to our blog and get email updates whenever we post something new. For twenty years, Hill & Partners has been designed and creating total Branded Environments for a variety of companies all around the world. Although we strive to create noteworthy work in every project we take on, once in a while we receive some high level outside recognition that makes us feel warm and fuzzy inside... and pretty darn proud. In 2014, Hill & Partners received nine recognition awards. First, the U.S. Chamber of Commerce recognized Hill & Partners as a top Small Business with the DreamBig Blue Ribbon award. 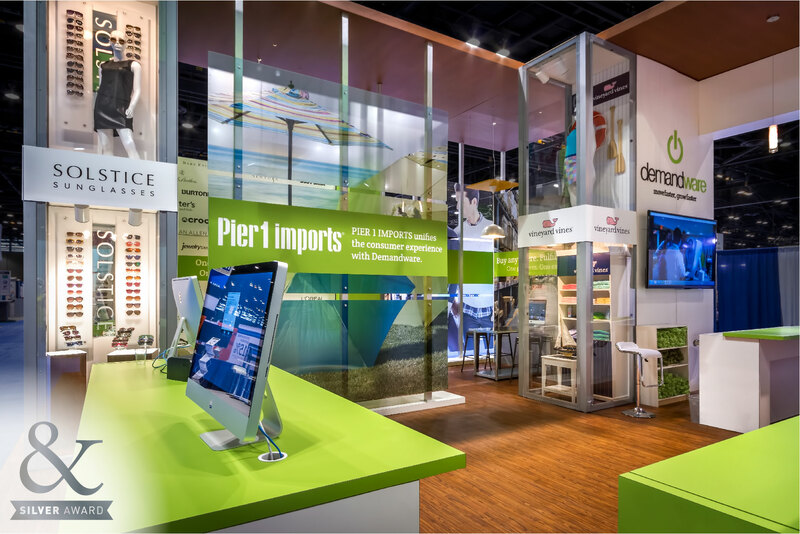 The Rental Branded Environment created for Demandware's 2014 Internet Retailer presence then won Silver status in the 44th annual Print & Packaging Design Awards by Creativity International. 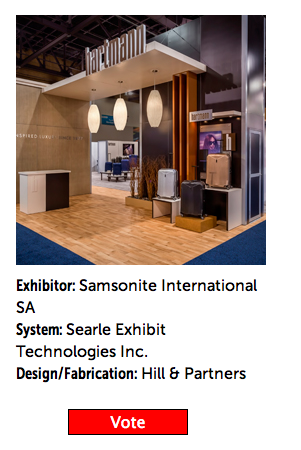 We are now happy to announce our latest accolades from Galaxy, MARCOM, EDPA and EXHIBITOR Magazine. The Galaxy Award, sponsored by the International Academy of Communications Arts and Sciences and MerComm, Inc., honors excellence in product and service marketing each year. 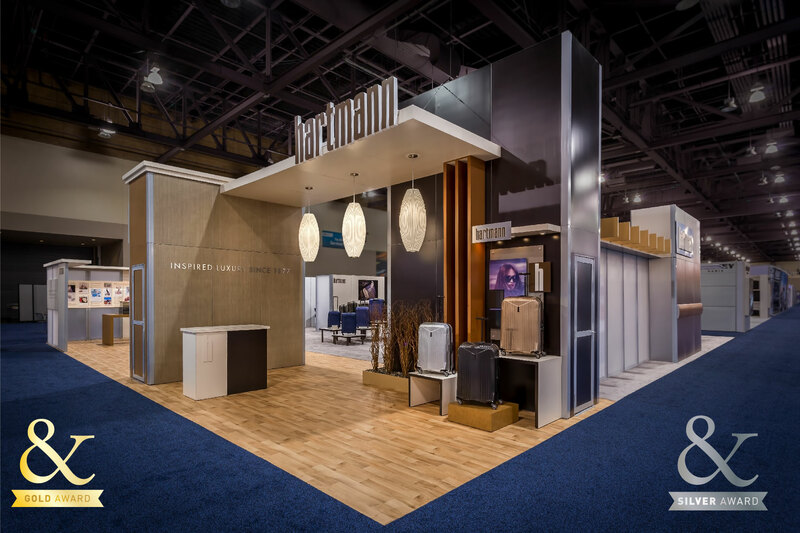 This year, the Rental Branded Environment designed for Hartmann Luggage at the 2014 Travel Goods show received a Silver Award in the Trade Show Booth Display category. 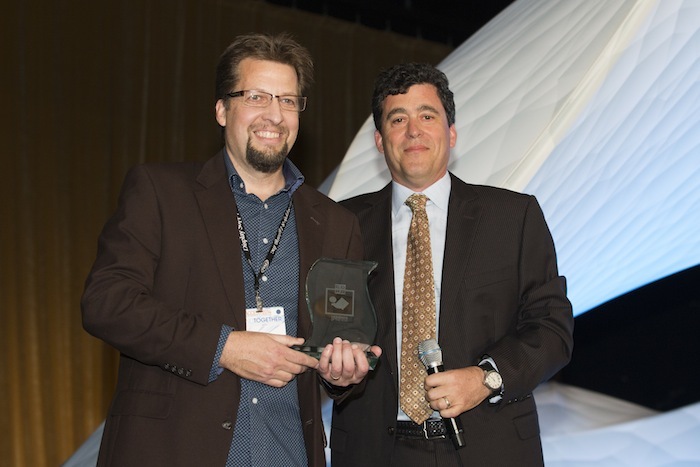 Shortly following the news of the Galaxy award, Hartmann's Branded Environment design also took home Gold status in the Trade Show Exhibit category from the MARCOM Awards, recognizing outstanding achievement by marketing and communication professionals. 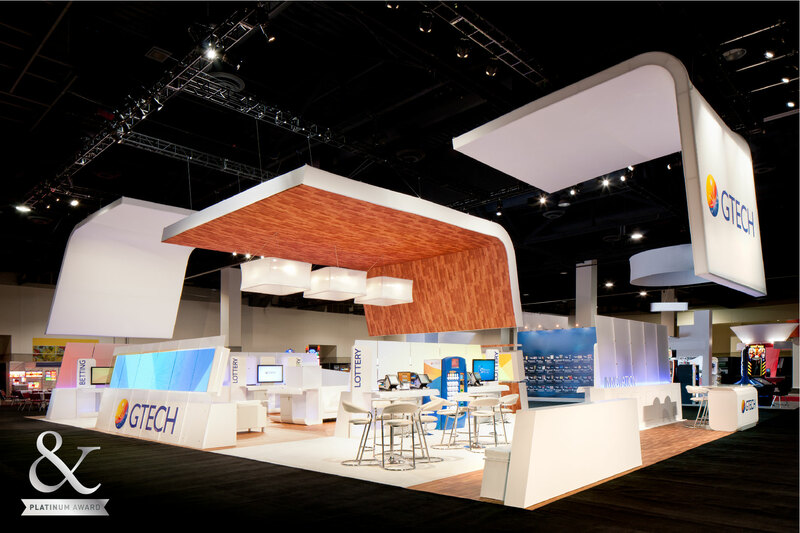 Additionally, MARCOM presented the Custom Branded Environment designed for GTECH Corporation at NASPL 2014 with a Platinum Award, the highest level, recognizing excellence in terms of quality, creativity, and resourcefulness. GTECH's Custom and Demandware's Rental Environments also received Honorable Mentions from the Creativity and MARCOM Awards respectively. 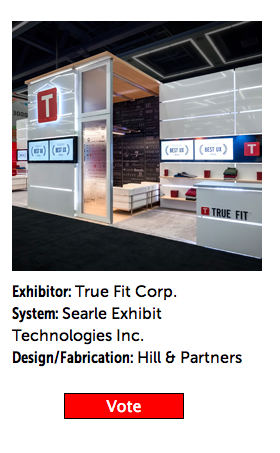 EXHIBITOR Magazine's Portable/Modular Awards announced their list of finalists last week, which includes the Hill & Partners' designed Hartmann and True Fit Rental Branded Environments. The People's Choice Awards brings the voice to You, The People, to cast your vote for your favorites. Change your experience! Let us show you how.